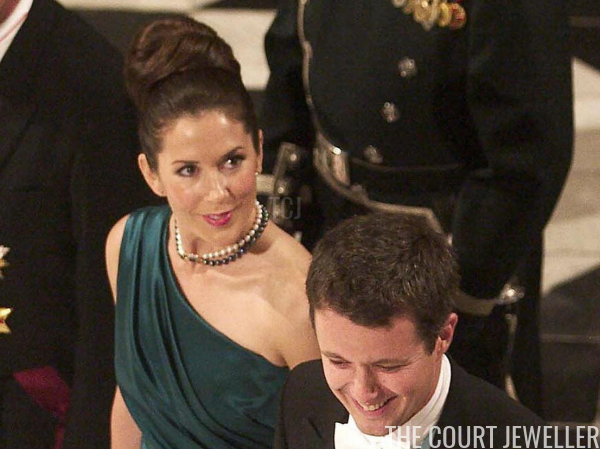 Today, Crown Princess Mary of Denmark marks her birthday. 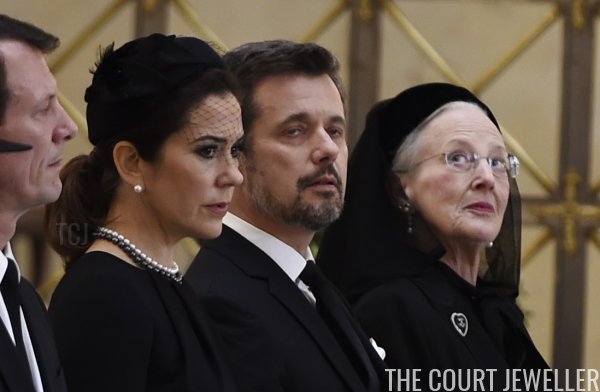 To celebrate one of the most elegant royal women in Europe, we've got a closer look at a sentimental piece from her jewelry box: her black and white pearl necklace. The necklace consists of a row of white pearls and a row of black pearls linked by a jeweled clasp, featuring a sapphire surrounded by a cluster of diamonds. 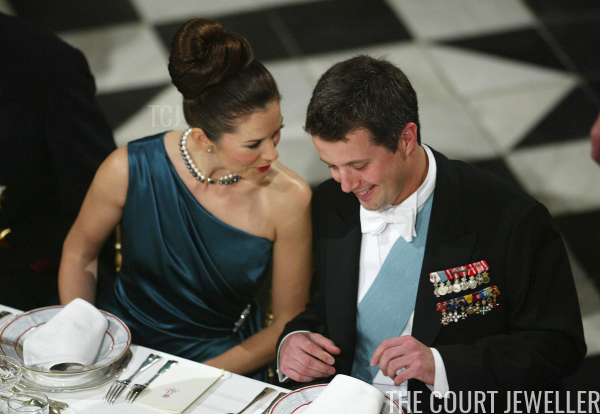 Mary first wore the Tahitian pearls, with their clasp positioned at her throat, on October 8, 2003, at an official gala dinner held at Fredensborg following their engagement announcement. The occasion was an appropriate moment to debut the necklace, which was an engagement present from her future father-in-law, Prince Henrik. Almost fifteen years later, Mary wore the necklace again for an important family occasion: Prince Henrik's funeral, which was held in Copenhagen on February 20, 2018. The choice of the classic black-and-white necklace was very appropriate for an occasion of mourning and remembrance, but the fact that they were a gift from Henrik made the moment even more poignant. She added an extra air of elegance by wearing the clasp of the necklace positioned to the side, a classic touch that an aesthete like Henrik would certainly have appreciated.